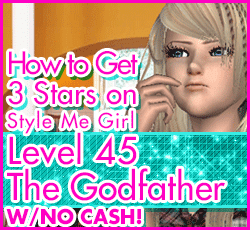 How to Pass Style Me Girl Level 45, "The Godfather," & Get 3 Stars With No Cash Items! | I Style Me Girl! 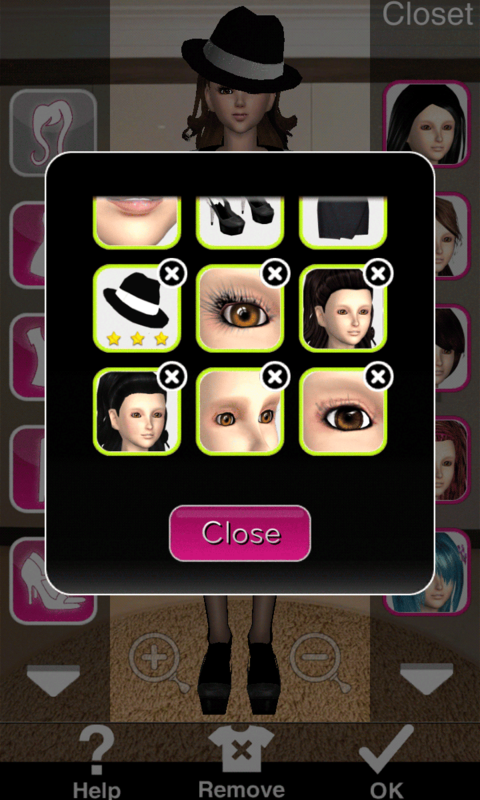 How to Pass Style Me Girl Level 45, "The Godfather," & Get 3 Stars With No Cash Items! The theme of Style Me Girl Level 45, is "The Godfather," so I styled model Jane like a boss! Or at least I tried to that is! Going by the three stars I earned for the look, I suppose I succeeded too! And as usual, I did so without using any cash items :) If you would like to know how to pass Style Me Girl level 45, "The Godfather," read the full post to find out how I did it! Got 3 stars, followed your post but I diverged a bit. HAIR; Brown/blond wavy half down/half updo hair. CLOTHES; Same striped top, Black blazer ( signature item ), same skirt. SHOES; Black heels that come with game. ACCESSORIES; Black fingerless gloves, large diamond earrings, Gold and brownish clutch ( signature item ). MAKEUP; Same makeup except I also used the black eye shadow and liner that comes with the game. Add red necklace, red bracket, and red earrings (all come with game) for extra points!